Last week I quit my day job. Maybe I should explain. 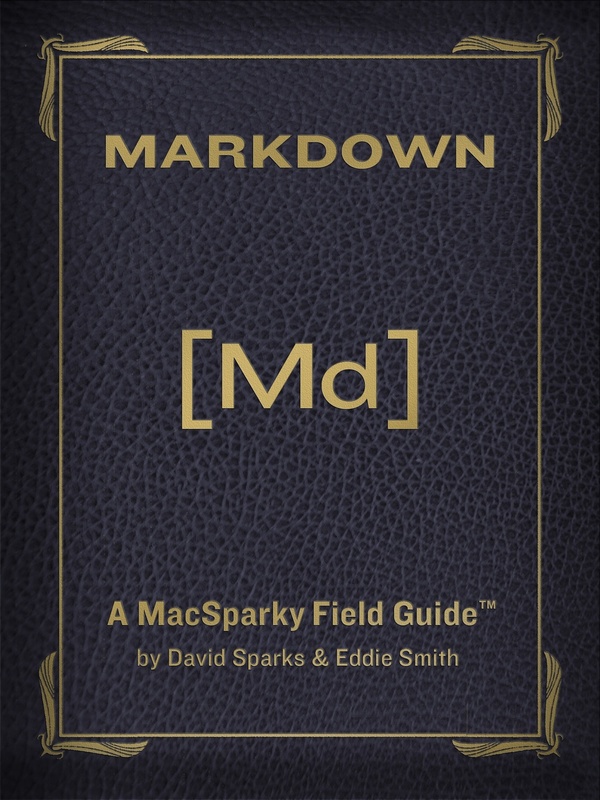 As the Field Guide publishing business, the podcast, and other MacSparky endeavors have grown, I’ve always felt my life was on a bit of a collision course. For years now I’ve been doing three things simultaneously. I’ve been growing all things MacSparky. I’ve taken care of my legal clients. I’ve been keeping up with the constant press of additional legal work arising from working in a law firm. Each one of these priorities has its own pluses and minuses. Keeping up with them all, however, sometimes feels like running so fast that I’m about to fall on my face. The things I do as MacSparky have brought meaning to my life. I love the podcast. I love the books. I love all the friends and interactions that come with them. MacSparky saved me. I can’t imagine my life at this point without this website, the podcast, and the books. With respect to my legal clients, I’ve always taken a country doctor approach to their problems. A lot of my clients are small and medium-size businesses that need someone to tell them when they’re onto something and when they’re running off a cliff. I like being a trusted advisor and I like shepherding my clients from small successful businesses to larger ones. Again, I couldn’t imagine myself not doing this. It is part of me. Finally, as a member of a law firm, I was afforded an opportunity to litigate many cases and be involved with many transactions over the years. It was a 21-year run of one crazy case after another and I enjoyed every minute of it. Also, being a part of a successful law practice means you get a really nice salary. For 21 years now the firm has been the foundation of my family’s solvency. So for the past few years, I’ve been serving these three masters all at once as I watched MacSparky grow, attempted to work more with my own legal clients, and keep up with the ever-increasing workload at the firm. I knew I was heading to a point where I’d have to make some hard decisions. I was also doing everything in my power to ignore this looming decision. I told many friends that all I had to do was “just keep pedaling”. If you’ve ever had a similar experience in your life with ignoring inevitabilities, you know how well that works out. Last October, I got involved with a big case at the firm that took a great deal of my time and attention for months. Things went well on the case. My “firm” commitments were satisfied. Everything else in my life went to hell. When the dust settled I took stock of my big three things and realized that while I was taking care of that case, my next Field Guide, which I had planned to ship in November was still unfinished and my own legal clients were giving me cryptic phone messages about how hard it was to get my attention. It occurred to me that, unknowingly, that fateful day where I’d have to make some tough decisions had arrived and I had been too busy to notice. Put simply, the big case needed me and I pushed aside MacSparky and my own clients without thinking of it. The realization that I’d made a decision without actually considering it upset me. How did I let myself fall into this trap that I’d merely deferred on what is one of the most important decisions of my life? I stepped back and took stock of my life. I realized I had two options in front of me. The benefit of working in a law firm is that there is usually a lot of work to do. When you put a group of lawyers together, they generally are able to combine resources, help each other out, and keep everyone busy. The downside of working in a law firm is that there’s a lot of work to do. You’re always busy. Because you are always busy, there is a regular paycheck. Regular paychecks are a pretty nice thing. I’ve always known that the “safe” route of sticking with the firm, letting more books slip and cashing the regular paycheck deserves serious consideration. That is the best way to get the bills paid without risk. That also was the option with the most inertia behind it. I’d been at the same firm for 21 years. How do you turn that upside down? Also, I work with some really top notch lawyers and that environment is a pretty rare in the legal racket. I grew up with Depression-Era parents. They were awesome. They taught me so much and gave me a fantastic work ethic. They also drilled into me the importance of avoiding risk. Probably the biggest motivation for me to stay at the firm was that conservative risk-adverse mentality I’ve carried my entire life. My other option was to leave my regular paycheck and health benefits behind and jump into the chaos that ensues from running a smaller, solo attorney law practice and (in my case) a book & video publishing business. I could serve just my clients with my own, smaller law practice and do things a bit more on my terms. 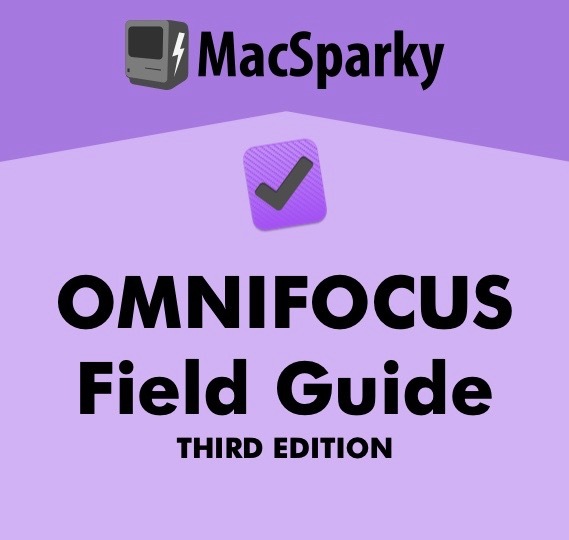 This would give me the added benefit of much more control and allow for more time to publish more Field Guides and produce more MacSparky and Mac Power Users content. While all this sounds dandy, it also comes with a big pay cut and the possibility that things could get much worse if I don't have enough legal clients, or people stop buying Field Guides, or both. So much of my own neurosis screamed out at me to keep the steady job and continue “pedaling” as best as possible. I laid awake at night. I rambled on about it incessantly with my family and closest friends. They all had excellent, well-meaning advice, much of which was contradictory with one another. At the end of this process I found myself repeatedly coming back to my hypothetical death bed. If I was laying somewhere right now facing down the reaper, what would I regret more? It then became crystal clear to me. 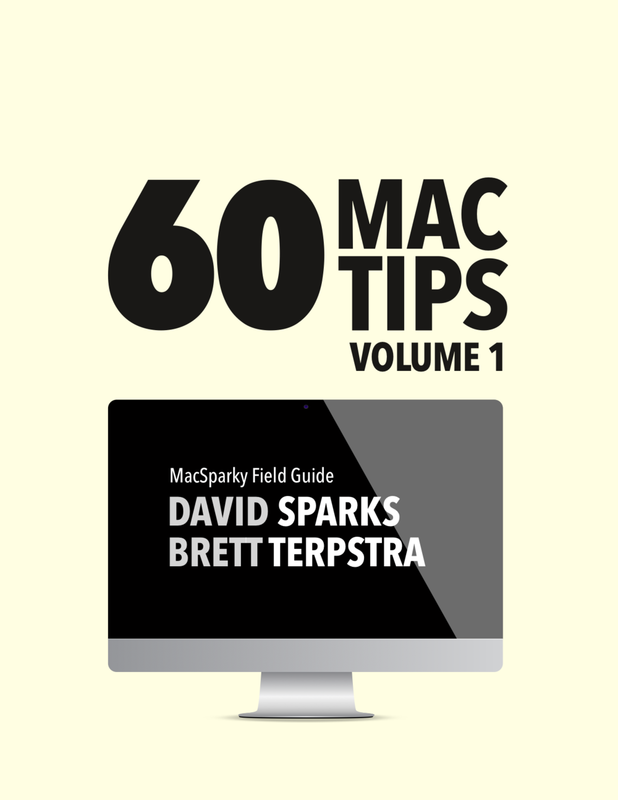 If I let MacSparky and the Field Guides linger and wither, I would never forgive myself. With that realization, a long tortuous decision process found clarity and purpose. I realized that if I ever had my ladder leaning against the wall of being a hot-shot partner in a big law firm, it had long since moved. I love being a small, crafty country doctor lawyer. The small business David that uses his Mac to sling rocks at big firm Goliaths. 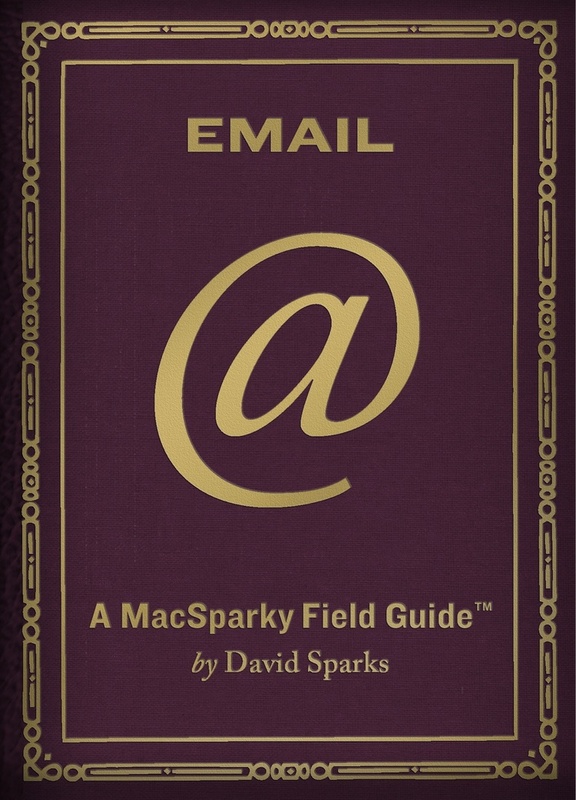 I also love writing Field Guides and being MacSparky. My legal and publishing aspirations could co-exist if I’d just get over my insecurities and leap. The people at my firm were baffled when I gave notice but after I explained myself, became understanding and supportive. I’ve spent the last several weeks planning a transition that came to fruition late last week. Now I’m a self-employed lawyer looking for a few great clients. Here’s my website. I’m also a geek writer with a bucket full of ideas that I finally have more time to execute upon. Finally, I’m a husband and a father that is really excited about a new adventure and more than a little terrified that I’ll blow it. As I write these words, I’m only a few days into this grand adventure but I decided to write about it here because the MacSparky audience has been such a vital part of this journey. 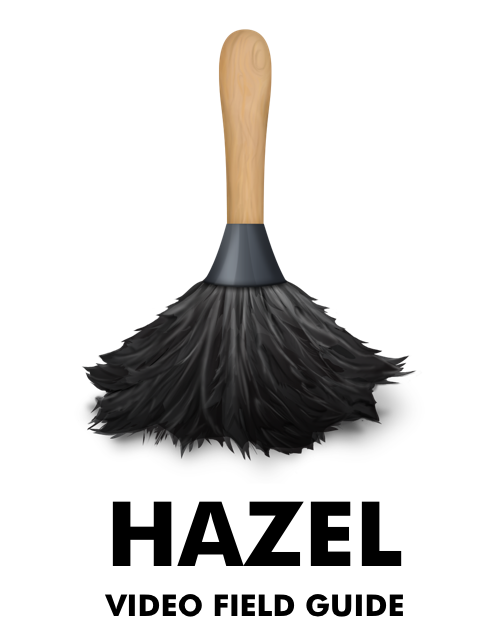 If it weren’t for MacSparky, I wouldn’t have had the option (or the guts) to take this leap. So What Does this Mean for MacSparky? This is going to result in more and better content here at the website, on the podcast, and in the books. I’ll have more time to produce things I’m proud of. Some of it will be free. Some of it will cost a few bucks. There will definitely be more Field Guides (both iBooks and video formats) on things interesting to me and—hopefully—helpful to you. So Are You Still a Lawyer Or Not? This doesn’t mean I’m going to stop being a lawyer. I like being a lawyer. I’m one of those weirdos that thinks I actually help people as a lawyer. I’ve opened my own solo practice and have a group of fantastic, loyal clients that came with me from my prior firm. I could definitely use a few more but I suspect they will come. The two passions of my life (outside my family) are MacSparky and my legal practice. In one I’m able to help thousands of people in little ways. In the other I help far fewer people in much bigger ways. I need the happy chemicals that come with both of those endeavors. How Exactly Are You Pulling This Off? I’m doing it the way any self-respecting geek would. I’m pulling pieces of technology together to make me look like superman in both the MacSparky and legal world. I’m having a lot of fun developing new workflows and, yes, I’ll be writing and screencasting about that here. While I have an office, I’m also going to be spending a lot more time working from home, which lets me do things like take walks with my wife, goof off with my growing kids, and write legal briefs while wearing jeans and a T-Shirt. (My company has a very liberal dress code.) Like I said, I’m only a few days into this but I can already see some pretty interesting content developing out of the experience. Are You Going To Prattle on About This Forever? Hopefully not but I’m also sure you’ll hear about it on occasion. I still catch myself with small bits of anxiety. What if the books stop selling or the clients dry up? If that happens I’ll have to figure something else out but I’d rather have to figure out that Plan B than lay in a bed some day upset at myself for not taking a risk. Despite that occasional anxiety, I find myself with this overwhelming exhilaration that everything in my life thus far has led to this point. Deep down, I truly believe this risky business will not only enable me to take care of my family, it will also lead to some of the best work of my life, both as MacSparky and a lawyer. I feel it in my bones.